Our mission is to help 1 million founders build ventures that not only make a difference in our world but are financially sustainable and grounded in their WHY. Nick Shewring is a Founder, keynote speaker, advisor, advocate for mental health and coworking strategist. Nick Marsh is an International Facilitator in Strategic Foresight, Strategic Planning, Entrepreneurship and Organisation Innovation not to mention just a super nice guy. We met by serendipity - both interested in how to create successful ventures and self mastery. In conversation we found a buzz between us and within a few short weeks realised that we were not the only people on the quest for some answers. So we created the ikifounder Manifesto, which is both a challenge to us, and to all those thousands of venture founders out there, who simply want to be happier. Many find themselves stressed, burnt out, working too many hours and neglecting family. Despite working so hard -still not managing to make enough income for all their effort - The loneliness of many venture leaders is showing up in rates of depression. Many founders feel that something is wrong in the alignment between them and their venture, but how to fix it? We also did a lot of research about what support is out there to support founders - including mentor services, accelerators and incubators, but why is this not working? 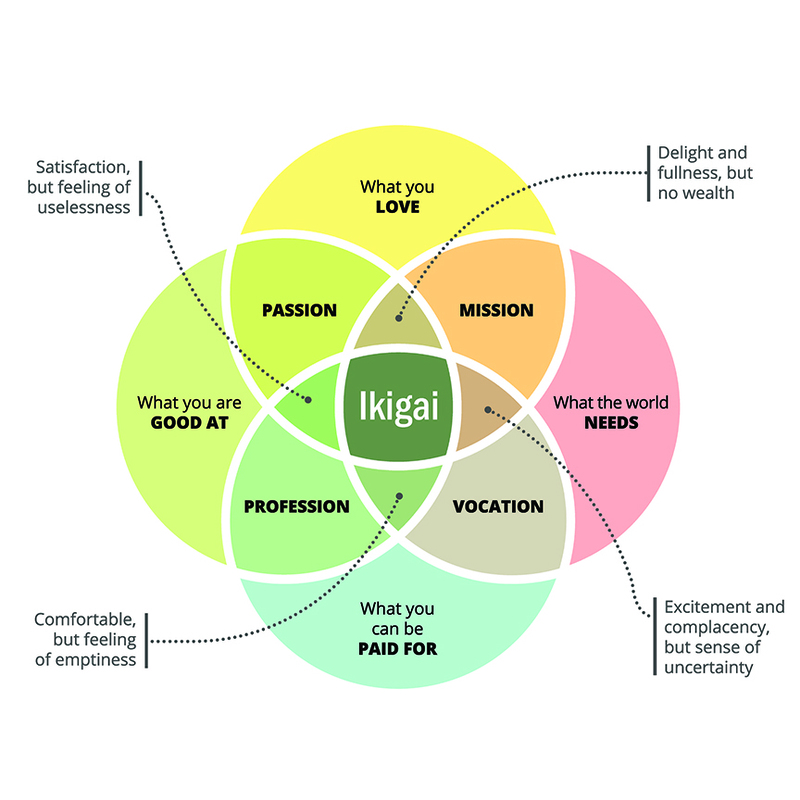 One day we hit gold by discovering on the internet the ikigai model. iki means ‘life’, and gai’ means value or worth. So ikigai is essentially about finding your purpose in life , "thing that you live for", "the reason for which you wake up in the morning." So we interviewed each other about what our respective ikigais were. We realised that for a founder tour ikigai needs to be aligned with our venture- where the two are in conflict then that is where to focus on fixing things. We saw that balance and happiness lies in our (honest) ikigai being strongly aligned with all the parts of our venture. Become a full-fledged citizen of the ikiFounder Network! monthly 2 hr one on one livestreams!